We are two Canadian girls who traveled safely through this beautiful and Muslim country. Why are we so apprehensive to experience things that are different than our own country? 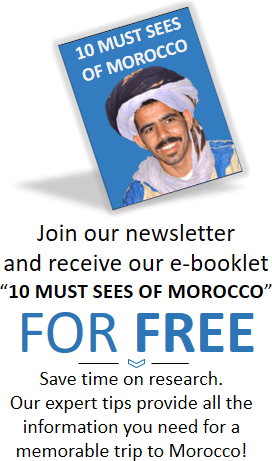 Our challenge to any of you who are reading this as you are obviously interested in Morocco, is to pay your deposit and enjoy the flavor of Morocco. If you are border line on a) whether Morocco is safe to travel or b) whether or not worth seeing, please be advised that as two well-traveled, young, Canadian females we have nothing but great things to say about Morocco. On a whim, we booked our trip through a company online called Experience It! Tours. They work with any budget, any time frame and any interests and/or activities you’d like to do/see. We completed a 10-day tour of Morocco all the way from Casablanca to the Sahara Desert and back with many fun experiences and photos along the way. Booking our tour online was very easy and Lorre and Ruth were excellent to correspond with over email. Any question we had or change to our itinerary was acknowledged and responded to right away. We met Jeff in Fes and he helped us change our itinerary with ease to reflect a cancelled flight we needed to deal with. Each day of our tour there was a new highlight and although some days there were many hours in the car, the time went by so fast looking at the beautiful scenery, stopping in the natural viewpoints, tiny villages and bathroom breaks. Everyday we went to bed excited to recap the day’s adventures and excited for the itinerary that lay ahead. Our driver was Younes Lafhal and without him our trip would not have been the same. We highly recommend you request him if you book through Experience It! Tours as they have a good working relationship and he has many years tourism experience. He was professional, timely (North American and Moroccan time was discussed) and spoke perfect English. He gave us so much additional information while driving and through the windy mountain roads and the hectic city streets we felt completely safe. We would not recommend renting a car in Morocco if it’s your first visit. Within the first day, Younes had a good read of our character and our desire for information and adventure. He took care of our needs first regardless of what the tour package said. For example our first day was too packed with itinerary stops and he knew, having driven many clients, the first day was not realistic. It made for a more enjoyable first impression and he made sure what was missed was made up for later on in the tour. Another example, our flight was cancelled from Morocco to Spain and he went above and beyond stopping, getting phone cards and even letting us use his cell phone until the problem was solved. Younes’ sense of humour and understanding of Western culture made him the perfect driver for us. We would recommend, as women, that you wear skirts or capri’s past the knees and shirts that are looser fitting, cover the cleavage and shoulders. We felt safe at all times, however having seen younger travelers dressed more Western, we noticed a difference in the respect level from the Moroccans. You can buy machine made shirts and long outfits for anywhere between $5 and $10. In the souks (markets) we bought roasted nuts and dates and ate them as snacks throughout our tour. You will see piles of pastries that look sticky and are probably covered with bees – try them early in your trip because you may become addicted to them! Restaurants range from $5 CAD to limitless depending on your budget. In Fes, our guide’s name was Mohammed Cohan and he was fabulous taking us everywhere we requested, treating us to Moroccan sweets and orange juice and helping us with bartering and being extremely patient, waiting for us while we shopped. He was very knowledgeable about Fes and Moroccan history. He knows the medina streets like the back of his hand and there’s a certain level of respect that he has from the souk owners which is to be commended. We recommend that if you get a guide, wherever you may be, set your expectations as to how much information you’d like and what kinds of things you’d like to see and do ahead of time. 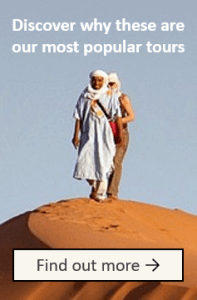 Moroccan people have an outstanding level of work ethic and are incredibly happy to deal with tourists as they know and appreciate that you are there to spend money in their country. We felt comfortable tipping our guides anywhere from $5-$20 and restaurants 10%-15% and giving a few extra dirham to souk owners and bakers in exchange for a photo or just because. One of the highlights for us was bringing small gifts for children and in avertedly for adults. We gave away stickers, Frisbees, wrist bands, pens and t-shirts. Children really don’t have a lot to play with; a box of crayons or colouring books goes a long way. The ladies who do henna in Marrakech will trade henna for lip-gloss, mascara, purses, nail polish or clothes. 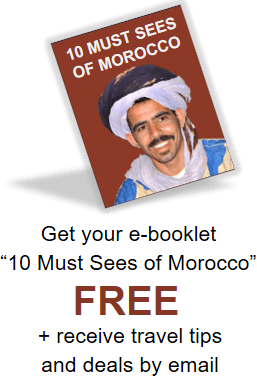 The people of Morocco are some of the most genuine and fascinating people you’ll ever meet. Their level of respect for tourists and each other is overwhelming. We always felt safe, taken care of and amazed by the level of hospitality shown to us. 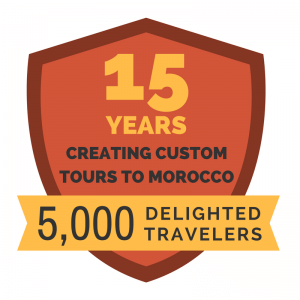 We have traveled the world by way of backpacking to luxurious cruises and we can both honestly say that Morocco will forever be one of our favourite destinations.